It was predicted that Dublin would demolish Longford and that’s how it panned out this afternoon in Croke Park as Cian O’Sullivan and Jack McCaffrey made their returns from long layoffs and Stephen Cluxton went off injured in the first half. There was little or no resistance from a limited Longford team and Jim Gavin’s side ran up an impressive total of 2-25 with all six starting forwards finding the target. 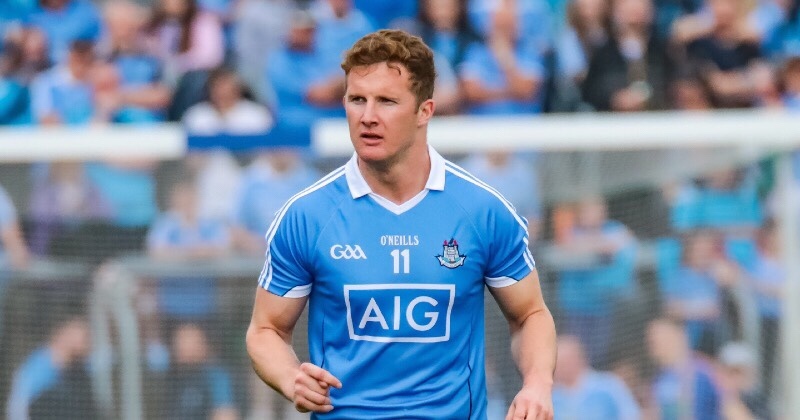 Dublin hardly broke sweat and played in second gear throughout and once Dean Rock palmed the first goal of the game in the 18th minute after a blockbuster run by Michael Darragh Macauley through the Longford backline, the game was all but over. Even before the goal Dublin lead by 0-09 to 0-04 from seven different scorers as Jim Gavin’s side attacked from all angles. Points from Philly McMahon, Con O’Callaghan and Ciaran Kilkenny put Dublin in front by three in as many minutes. Robbie Smyth and Michael Quinn responded with a point each for Longford who looked game early on. 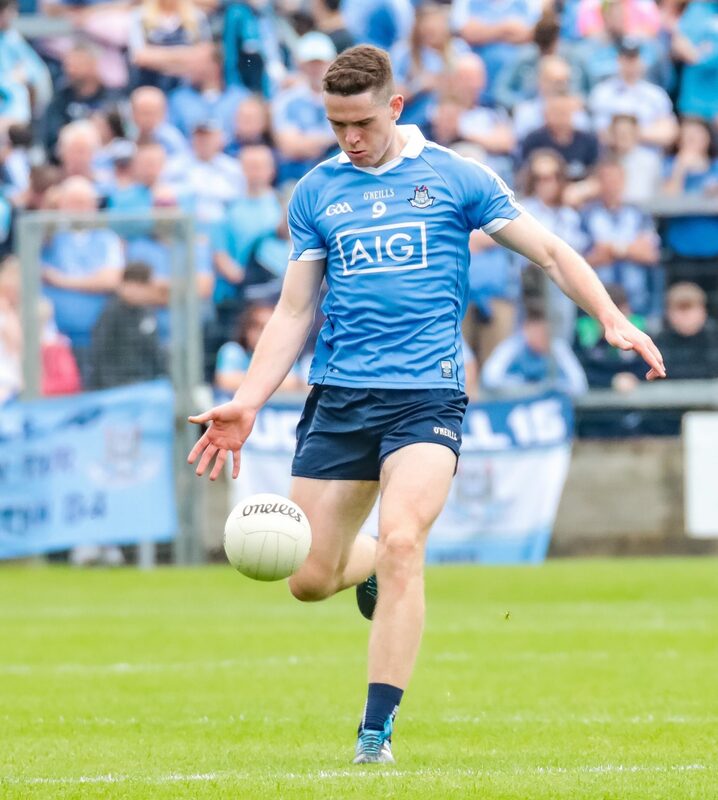 Dublin’s Paddy Andrews and Longford’s Donal McElligott swapped points before the boys in blue reeled off three unanswered points from Rock, Fenton and Howard. The sides exchanged frees with Dean Rock and Robbie Smyth both on the money. Moments later came the pivotal first goal from Rock and it got worse for Longford four minutes later when they were reduced to 14. Cluxton rose in the air to punch away a long delivery inside and while he was still airborne he was taken out with a very dangerous hit from Longford full forward James McGivney. Referee Maurice Deegan had no hesitation showing McGivney a straight red and Cluxtonhad to be taken from the field and replaced by Even Comerford. It went from bad to worse for Longford minutes later when Dublin pressed a short Longford kick out to Liam Connerton, he was caught in possession inside his own 21 and Paul Mannion turned over the ball and drilled it to the back of the net. The sides traded three points apiece to the break leaving the scoreline 2-13 to 0-07 in Dublin’s favour. Dublin’s Jonny Cooper was lucky not to be shown the line in the first half when he connected with Dessie Reynolds. The Na Fianna man was already on a yellow card and was spared a further caution for the incident. Jim Gavin took no chances and substituted Cooper at half time with Jack McCaffrey for his first appearance since his cruciate injury in last years All Ireland Final. Longford in fairness to them came out and gave it a go at the start of the second half and three of the first four points after the break. But normal service resumed when second half substitute Colm Basquel hit two points in a row shortly after being introduced. Longford managed two more points before Michael Quinn was black carded with fifteen minutes left in the game. After that Dublin drove for home and hit nine points on the trot to run out very comfortable winners and will face Laois in the Leinster Final in two weeks time.